Here at Height Top Farm, we are committed to providing a good quality service whilst minimising the environmental impact or our activities. We achieved a Gold Award in the Green Tourism Business Scheme. Making sure existing hedgerows are managed to encourage nesting birds, small animals and wild flowers. 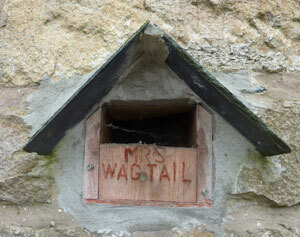 We have bird and bat boxes on buildings around the farm. We encourage our visitors to tell us about any wildlife sighting they have so we can record it on our blog. Our blog along with blogs from other GTBS members, forms part of www.lancashirewildlife.org.uk wildlife news website. We have a high efficiency boiler. We have excellent insulation and double glazed units throughout the cottages. We recycle glass, plastic, tin and paper and vegetable waste is composted in our own garden. We refill our ink cartridges. Home grown Fruit and Veg. 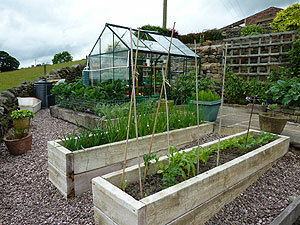 When produce is available guests are free to make use of fruit and vegetables grown in our garden. One of the owners is now a trustee of Champion Bowland (formally BTEF) a charity that gives grants for small scale environmental projects in the Forest of Bowland. 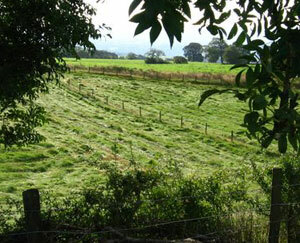 Continue to maintain and plant hedgerows and include wild flowers where possible. To source logs from our own windfall trees and from our neighbours windfall trees. To make in advance, ie; all through summer the pressed newspaper logs/briquettes so that we have a better stock. Add more fruit trees to our orchard, continue to develop the vegetable garden for both us and our guests. To continue and develop my exchange deals with friends such as home grown vegetables for fruit and eggs or whatever we may need. 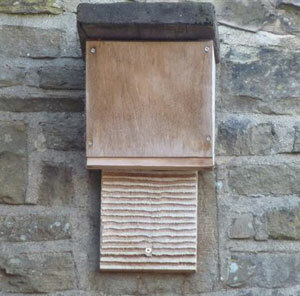 Continue our ongoing bird and bat box project including more owl boxes and a swift tower. We value the opinions and suggestions of our guests. You can tell us directly or use the feedback form provided. Thank you.